Lighting Time: Full electricity, induction 600 times, or steady on 8 hours. Double color changeable light — You can press the left button to adjusting the color temperature of the light, warm light or white light. Built with strong permanent magnet-It can be freely adsorbed on iron products, free installation. Can be powered by solar power or USB charging. Can be used for Outdoor or Indoor. 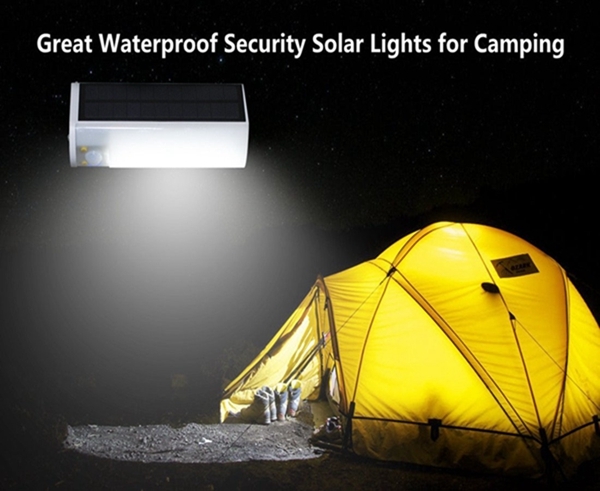 Super Bright Flashlight for Camping, Hiking, Emergency Use. Press and hold the right key to open. Mode 1: the motion sensing only (Energy saving mode) No light when no people around, and high brightness when sensing people come. Mode 2: Motion sensors soft light mode (Weak light when no people around,and high brightness when sensing people come). Mode 3: Always lighting mode (Automatic light up when it’s getting dark). Mode 4: Emergency lamp mode. (It automatic shutdown after the led lamp keep on for 30 minutes). Mode 5:Press the right key for 3 seconds, the flashlight will turn on.